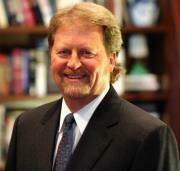 The Chron endorses Paul Sadler for the Democratic nomination for Senate. Sadler, 57, a father of five who served in the Texas House from 1991 to 2003, is an East Texas Democrat from the classic mold – a populist with common sense and a keen understanding of budgets, as well as a knack for honest deal-making, looking out for the interests of working Texans and understanding the importance of keeping government spending in line with revenues. In four of his six terms in Austin, Sadler was named to Texas Monthly’s list of Top 10 lawmakers. His legislative career was cut short when he left the state capital to help a critically injured son rehabilitate after an automobile accident. Following his recovery, Sadler and son were treated to a very personal White House visit with President George W. Bush, with whom Sadler had worked closely in Austin while Bush was governor. Refreshingly, Sadler vows to “spend less time name calling” if sent to Washington and more time being open to ideas – whether they come from those labeled liberal or conservative. We also like it that Sadler’s history in public life reveals him to be pragmatic rather than doctrinaire. His Republican opponents vow to kill “Obamacare,” but Sadler eschews sloganeering and understands the need to work toward a solution on the politically volatile health care issue, now in the hands of the U.S. Supreme Court. He rightly recognizes that all Americans share an interest in health care reform and that Congress will need to work in a bipartisan fashion to achieve that. Sadler’s “Where I Stand” section on his campaign website is pure old-time Texas Democrat: for an independent voice in the Senate that puts Texas ahead of party affiliation; for job creation through support for public education and the energy industry; for energy independence; for a strong national defense; and for protecting access to affordable health care. I voted for Sadler. If you look at the endorsements I’ve tracked on my 2012 Primary page, you’ll see that a number of my blogging colleagues are backing Sean Hubbard. I thought they made a compelling case, but I’m happy with my choice. And assuming he’s not in Washington DC next year, I hope Hubbard considers running for one of the many Dallas County legislative swing seats in 2014. We need more people like him running for office. You can listen to my interview with Sadler here. If you like what you hear, consider chipping in a few bucks to his effort. If we want to keep more political money in Texas for our candidates, we need to lead by example. UPDATE: This morning Sadler also received the Statesman endorsement. When I read Sadler’s website, I had only one thought: Empty suit. Can’t trust him. I voted Hubbard. And if Sadler wins the nomination, I will have to grit my teeth and hold my nose to vote for him come November.